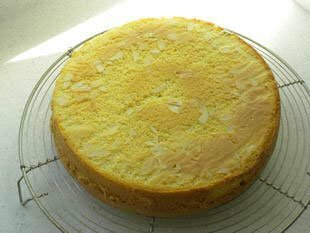 A Génoise (or Genoa sponge) is a very light and delicate cake. It is good on its own, but is more often used as the base for many different French-style gâteaux, with layers of mousse or cream between 2 (or more) layers of sponge. It is a tricky recipe to get right, rather technical, but here's a simple and very effective method.